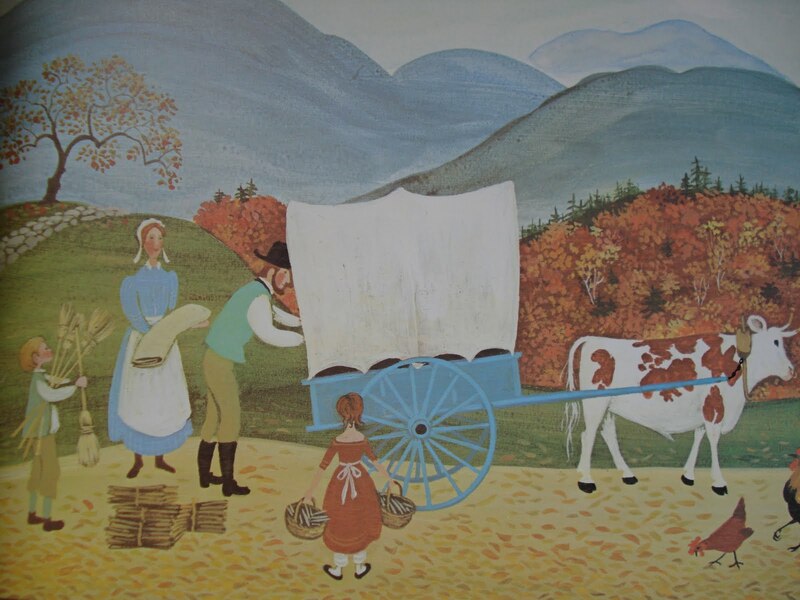 Ox Cart Man was first published as a poem by Donald Hall in The New Yorker magazine on October 3rd, 1977. 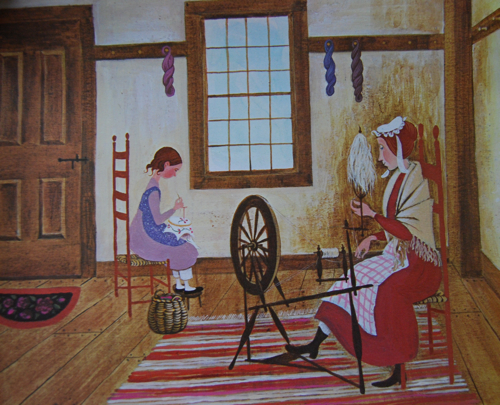 Hall later lengthened the poem in a children’s book illustrated by the talented Barbara Cooney (author and/or illustrator of two of my children’s favorite books: Miss Rumphius and Roxaboxen). 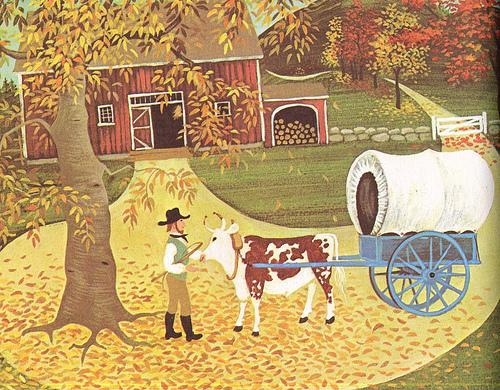 Together Hall and Cooney won the Caldecott Medal in 1980. The story, now in prose, centers around rural life in 19th century New England, but it maintains the cadence of the original poem. As we follow a family through all four seasons, we witness their willingness to pitch in for the greater good. Success is measured in self-sufficiency in the home and on the farm. 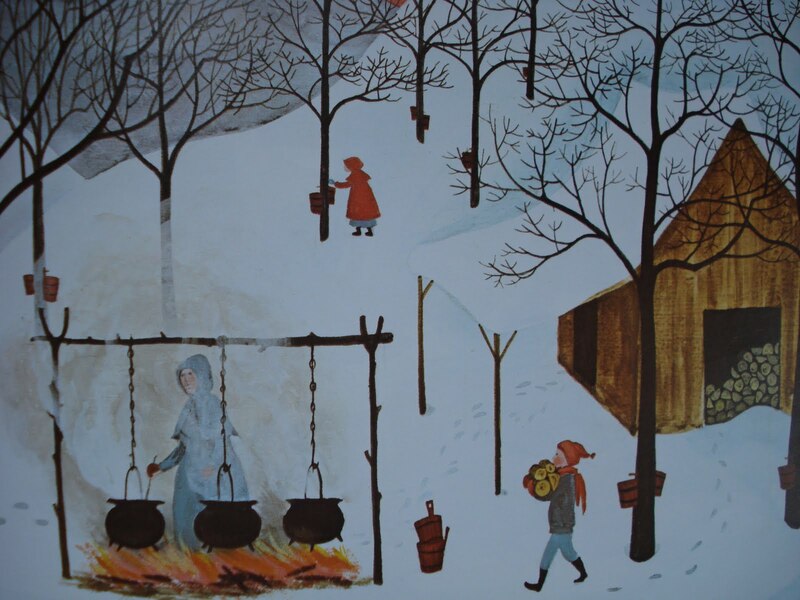 The illustrations are simplistic, in keeping with the content, but lack nothing in detail or accuracy. The muted earth tones appeal to the eyes and evoke a feeling of calm. 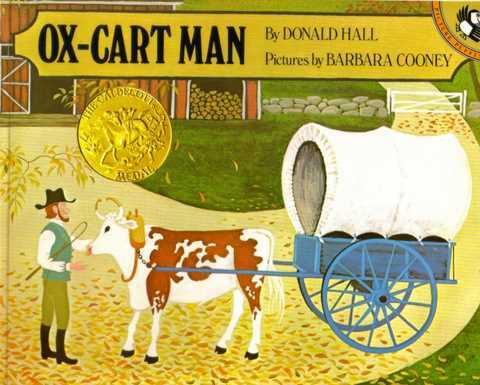 Ox-Cart Man was also represented in an episode of Reading Rainbow with LeVar Burton. This is a story I return to frequently with my children, particularly as we enter the frantic, excessive consumerism of the holiday season. It is a steady reminder of what truly matters in life, the ethic of hard work, and the bounty that comes from the simpler things in life. Perhaps this Thanksgiving, before you sit down to table with those you love, you might take a moment to share this story with your family. 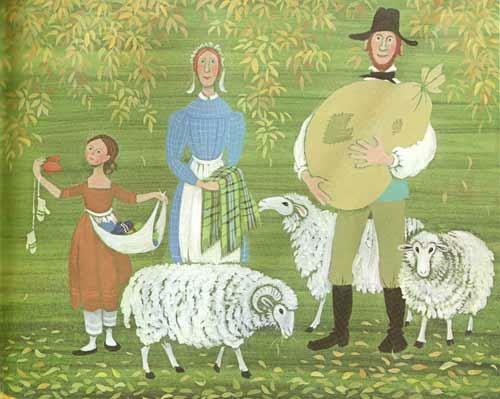 Wishing you all a blessed and peaceful Thanksgiving. I heard this read on the radio yesterday while I was baking my rolls and pies for our family Thanksgiving dinner. What a treasure! It is a wonderful book. Have you seen the illustrations yet?